It’s 10 minutes to tip-off at Goshen Middle School. Tonight’s game is between Prairie View and West Goshen elementary schools, and the players are buzzing with excitement. The stands fill with fans as the athletes lob free-throws and lay-ups, half-dozen basketballs hitting the gym floor with echoey “whap”s at irregular intervals. Then warm-ups are over. At 6:01 p.m., the toss goes up and West Goshen grabs the ball. 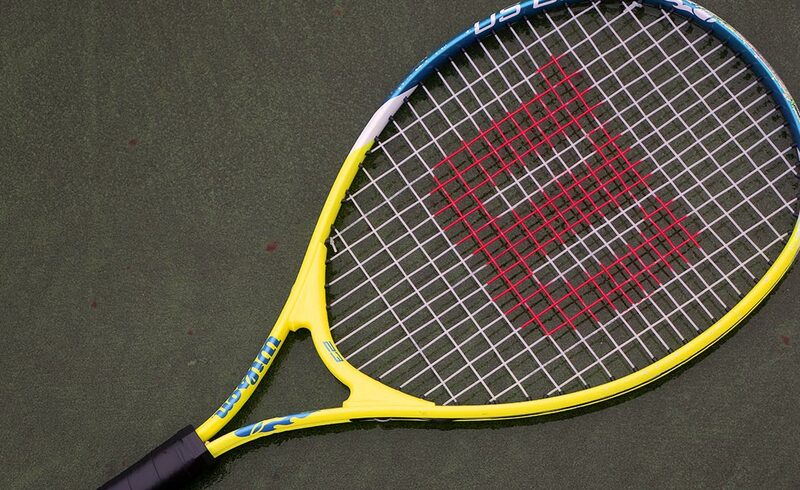 Game on. 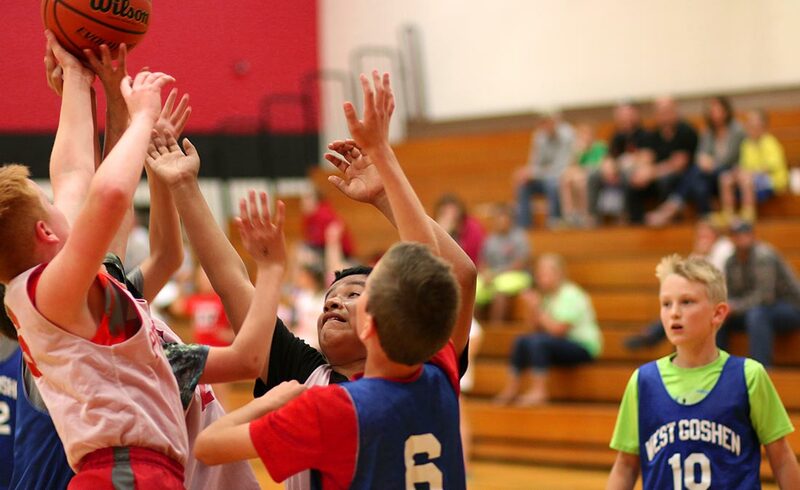 These players are just some of the athletes in Goshen Community Schools’ elementary sports program. 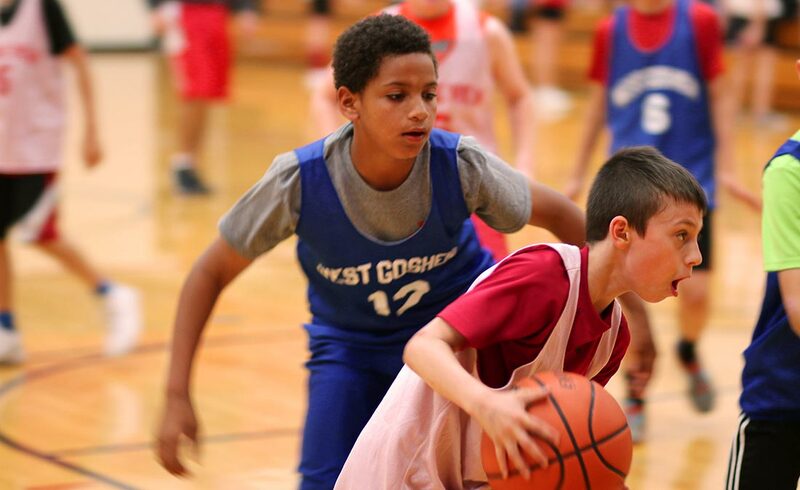 From basketball to volleyball and beyond, the program provides a place where children can learn fundamental skills, the value of teamwork, and the rules of the game. They also, we can’t forget to mention, have a lot of fun. Goshen High School Athletic Director Larry Kissinger oversees the elementary programs. He explained that an Athletic Excellence Committee was formed in 2004 at the request of the Goshen School Board. 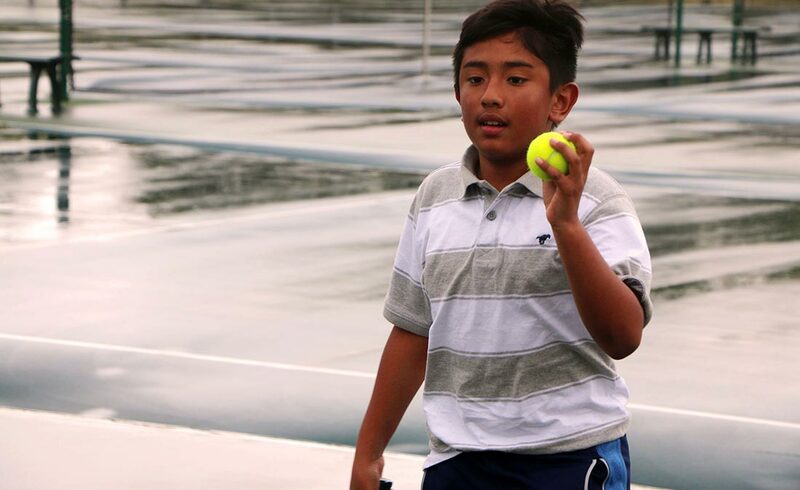 In addition to paid coaches, the program utilizes community volunteers and high school- through college-age athletes. Kissinger noted that almost every high school sport has an elementary coordinator, except for sports that have a well-established community youth program, such as Little League softball and baseball. 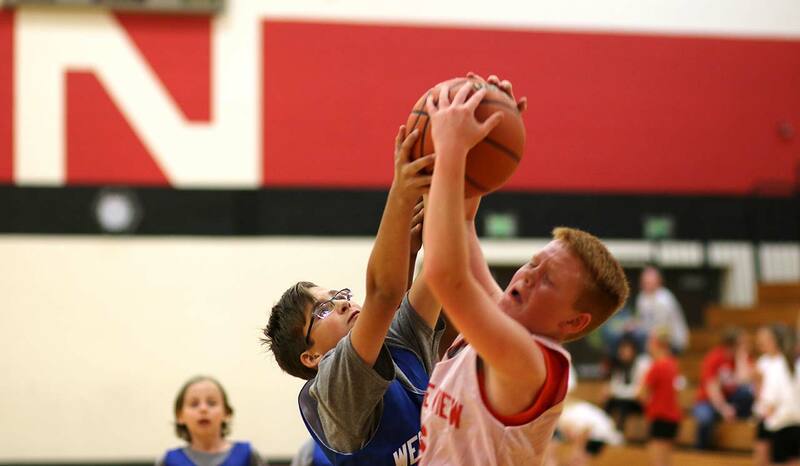 Basketball and volleyball are two of the most popular elementary sports, he said. Every elementary school has a basketball team. 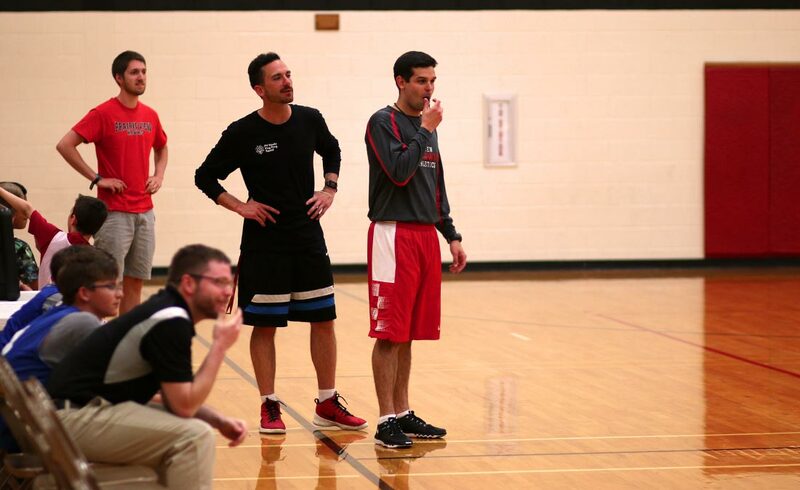 During “May Madness,” teams practice for three weeks and then play in a tournament. The winning team (this year it was the Chandler Elementary squad) awarded a trophy. 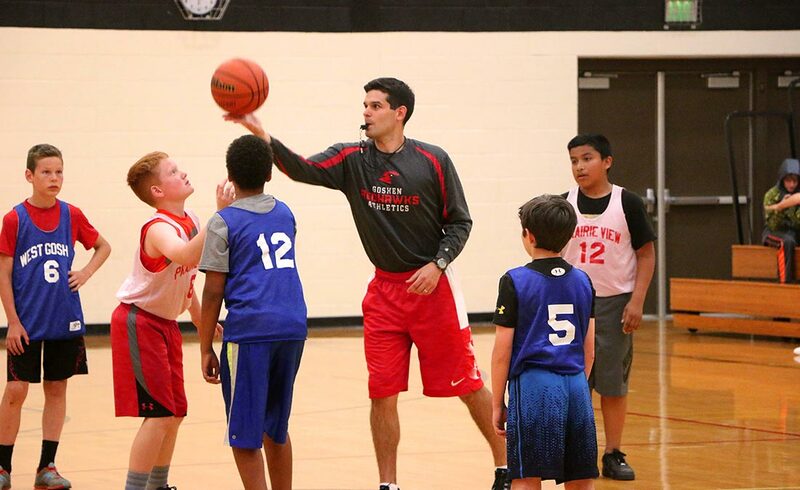 For eight years, Michael Wohlford – newly named head boys basketball coach at GHS – has led the fifth-grade basketball league. 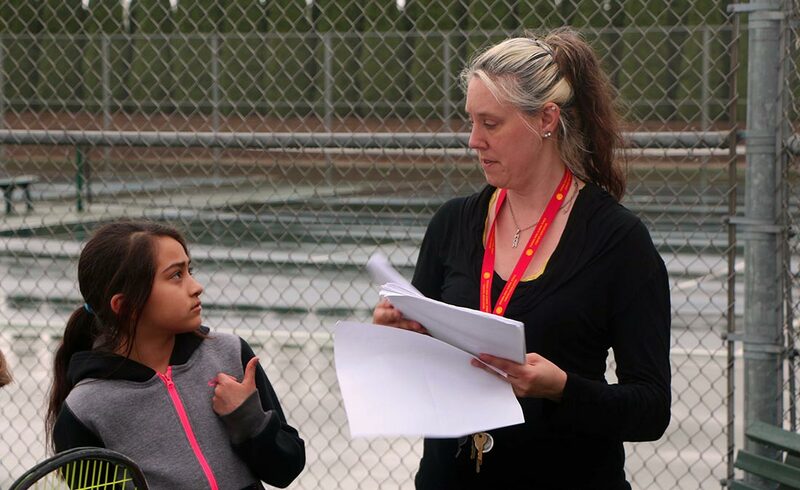 Wohlford views elementary sports as a way to build students’ school pride and create links schools. “Plus, it gets kids excited about basketball,” he added. 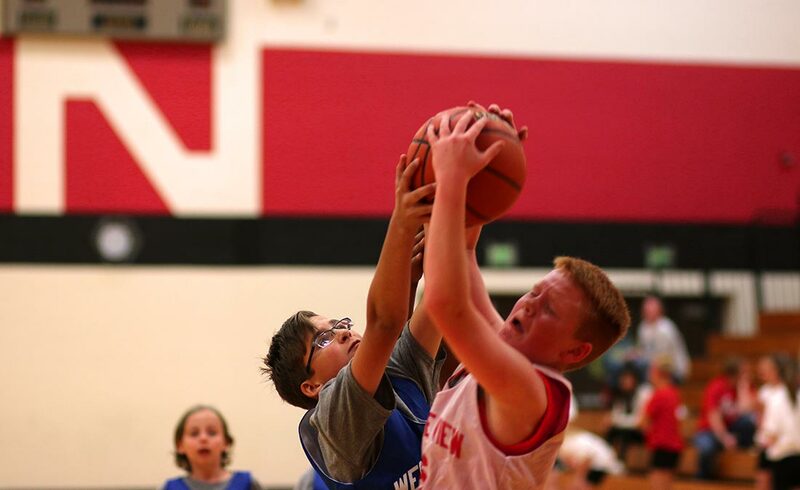 The elementary basketball program also includes travel teams coached by parents. 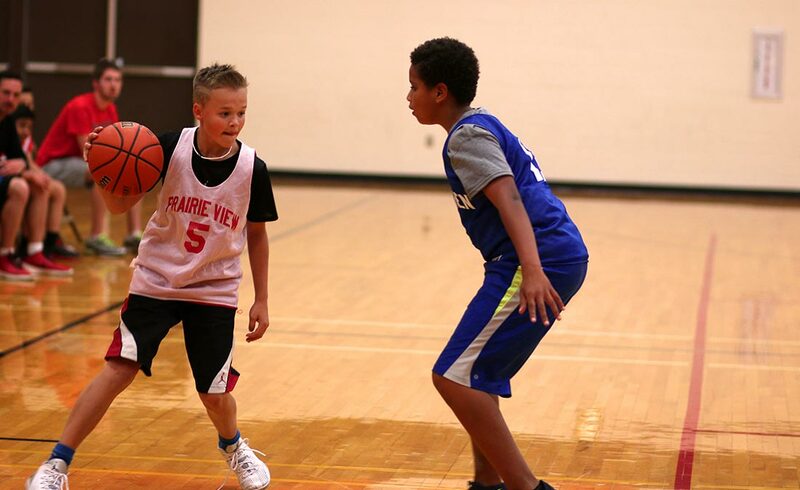 There’s also a fall recreational league split into two camps: second- and third-graders and fourth- and fifth-graders. 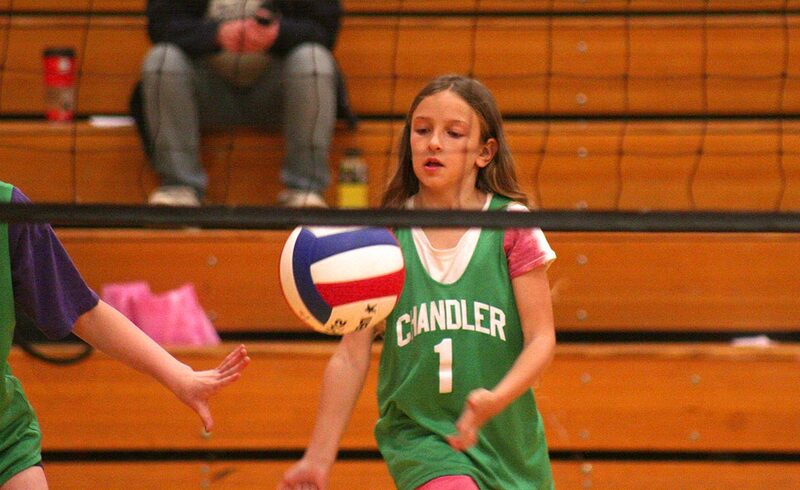 Teaching fundamentals is also key in the Elementary Volleyball League, which is directed by GHS head volleyball coach Kelsey West. She has overseen the league for three years. 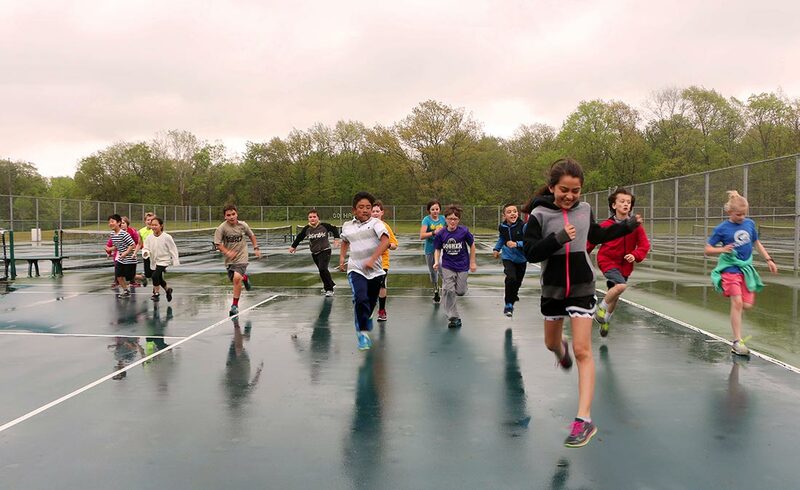 In addition to learning the basics, West wants the students to have fun. 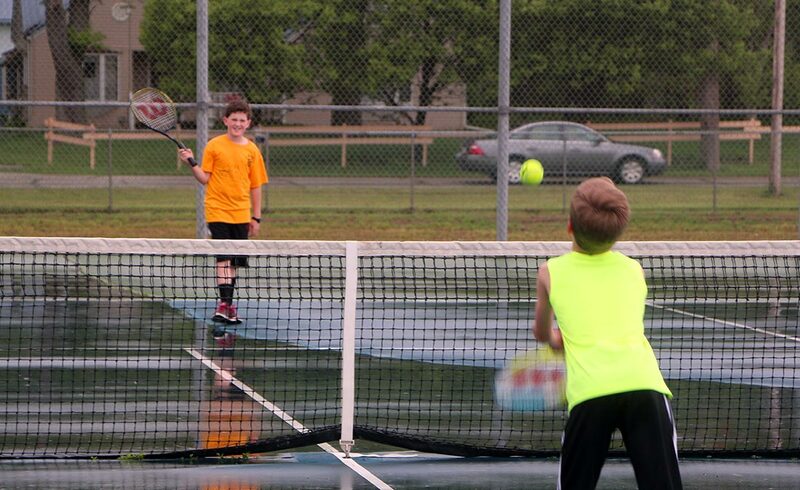 “I want them to remember that elementary experience so that when they get older, they remember how much they enjoyed it and continue to play,” West said. Back in the Goshen Middle School stands, Danae Wirth watches the players in action – particularly her grandson, Carter Wirth. Danae is a former basketball coach herself. She says she has witnessed time and time again the positive things that can happen when young people play sports. Some of Wirth’s former players are now coaches with the elementary program. Others are parents who’ve gotten their children involved. Shaun Hill, a teacher, coach, and parent in Goshen, was watching the game, too. His son played on the Waterford team, and Hill feels he gained from the team atmosphere, being coached, learning to take instruction, working hard, and competing. “The school camaraderie is always nice,” he added. 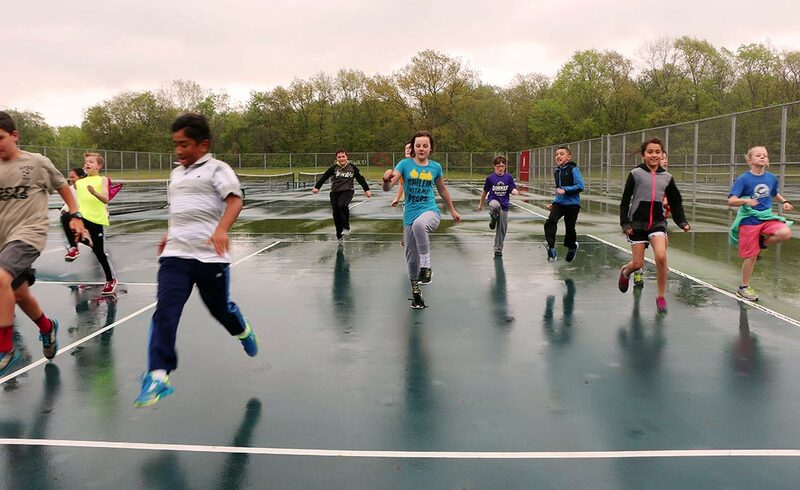 John Lichty, Parkside Elementary physical education teacher, has seen that camaraderie first-hand for years. 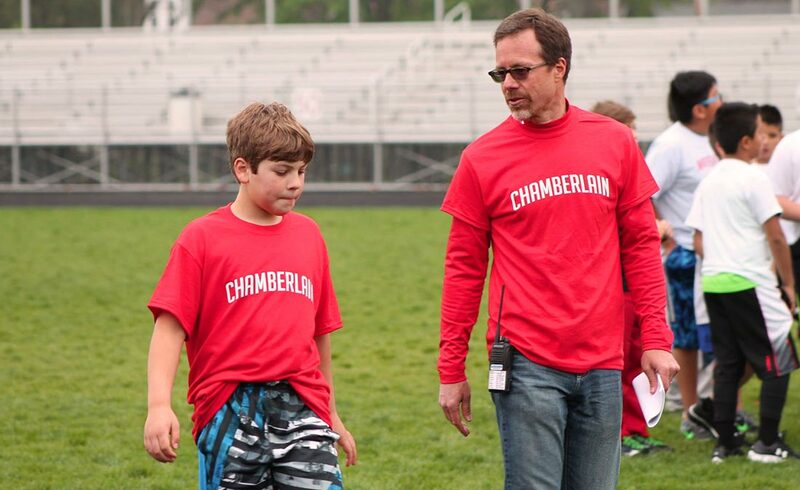 He organizes the annual elementary school track meet, in which all seven GCS elementaries participate. The event involves students, community members, and high school coaches. Lichty pointed out that all high school track athletes volunteer to help and cheer on the younger kids. 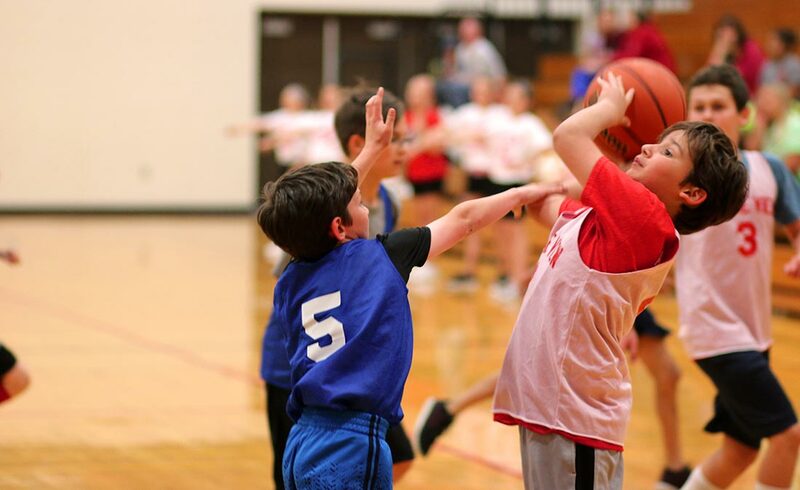 The elementary sports program provides a way for students to become better athletes, but it also helps them to become better people – learning the value of teamwork, being supportive, and having the right attitude. 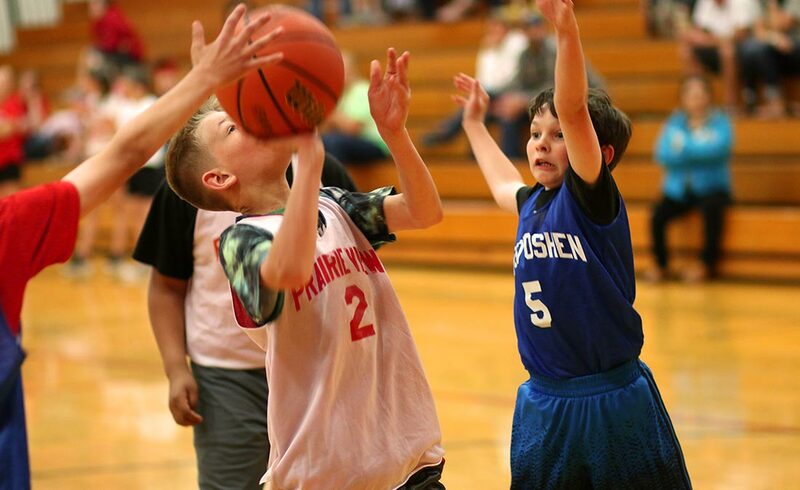 Registration is underway for Goshen High School 2016 Summer Sports Camps. 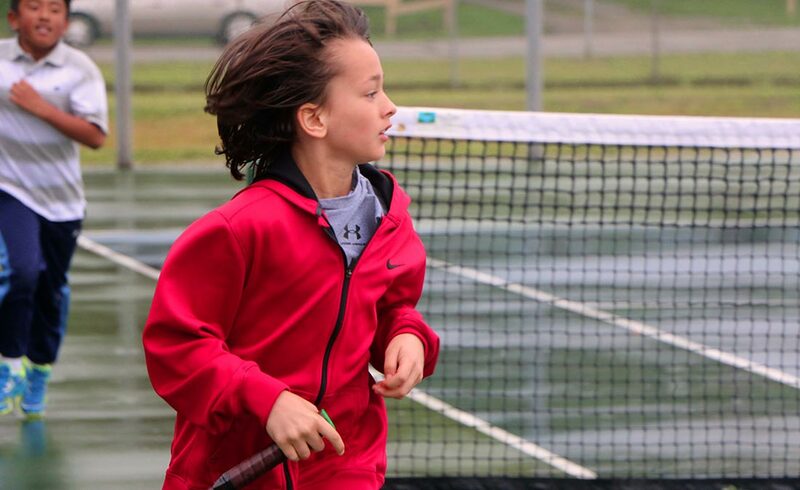 There are camps for basketball, track and field, volleyball, golf, soccer, football, tennis, and cheerleading. 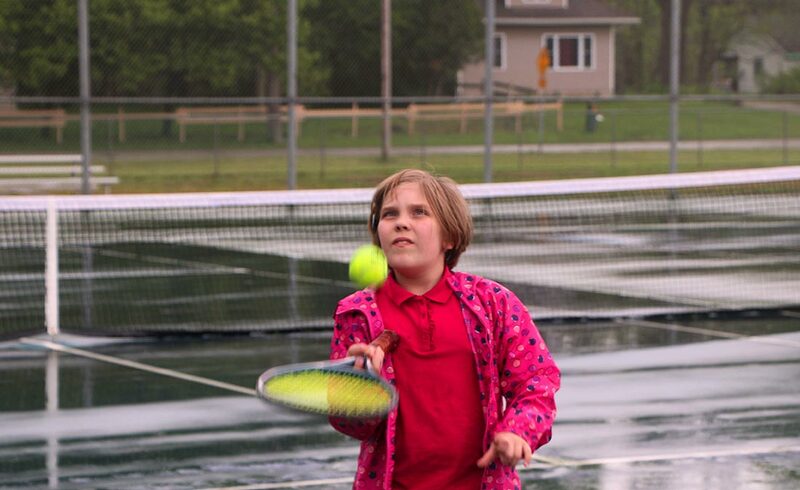 There are camp fees, but no child will be denied for financial reasons. 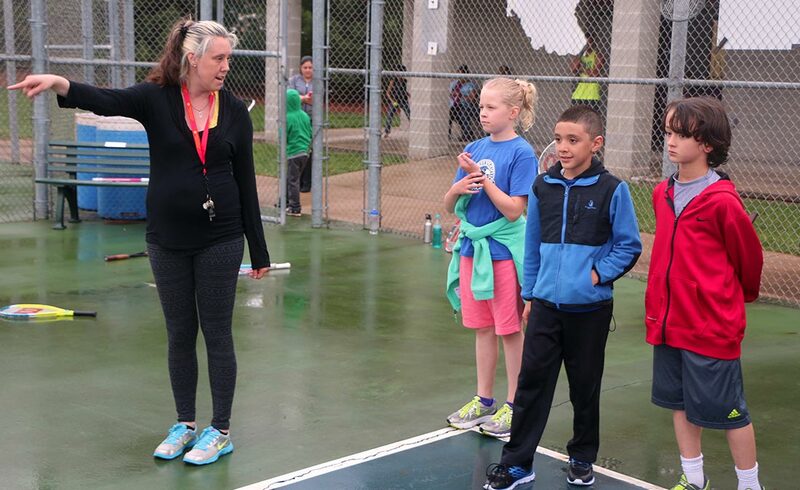 Goshen elementary sports organizers are always looking for volunteers to assist with the programs. Want to help? Call the athletic office at 574-533-0652 for more information.